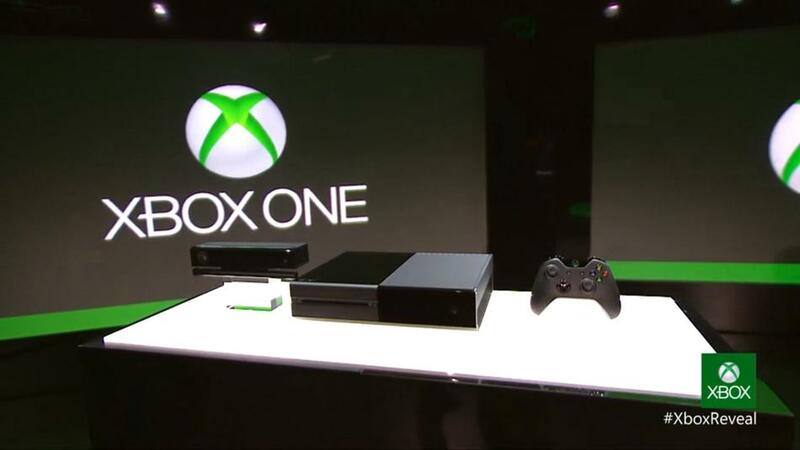 Two days ago, Microsoft finally unveiled their next in their line of home consoles, Xbox One. While we can officially add it to the list of “most baffling console nomenclature” along with the Wii U, there’s far more to raise an eyebrow at with this new console. Details are still sparse, but from what we know the system will be slightly less capable in terms of raw processing power than the PS4. That’s not much of an issue for me, especially considering that in terms of architecture both consoles seem have far more parity than the Xbox 360 did compared to PS3. At the very least, we can probably expect both consoles to have games performing quite similarly. Perhaps the least surprising thing Microsoft focused on was the entertainment angle of the new console. The majority of the conference was taken up discussing Xbox One’s TV features, as well as it’s almost instantaneous application switching. From the demo shown, users should be able to flip between TV, games, music, and more, with just a quick phase to your Kinect. Youtuber Darkbeatdk’s above highlights clip is a rather apt summary of the system’s reveal. These features were admittedly cool, but for many gamers the focus on TV and entertainment was disheartening. I do share in the sentiment that there was a lack of games shown, and that the three shown off (Quantum Leap, Forza, and Call of Duty: Ghosts) weren’t big surprises. However, prior to the conference (and throughout it, as well) Microsoft has assured gamers that E3 will be the place for games, and I look forward to seeing what they’re bringing to the Xbox One. That said, there are some things that leave me worried; namely, the inability for Indie developers to self-publish on the system — something both Sony and Nintendo allow. As a gamer increasingly interested in smaller, creative projects, I was disheartened to learn that Microsoft was not embracing this section of the game-development world. Similarly, though I’m not entirely opposed to owning a system that must stay connected to the internet, I did find Microsoft’s vagueness on the subject confusing, to say the least. It seems even Microsoft is unsure about what exactly they’ll be requiring from consumers’ internet connections. Going into this reveal, I didn’t have many expectations, but I did hope I’d leave it with a modicum of the interest I felt after Sony’s PS4 reveal earlier this year (even though I’m not entirely sold on the PS4, either). Instead, I felt like I had just watched every rumor about the new console come true. What we saw was a company on top making investments in for-sure things: the biggest AAA games; television and movie streaming; NFL and sports apps; and voice-recognition/gesture controls. I’ll be honest, I’m a sucker for Halo and that franchise alone could sell a console to me. It also wouldn’t be hard for Microsoft to win me, and many other gamers, over this E3 but giving us a good look at some of the promised 15 exclusive games coming in Xbox One’s first year. But it’s not all about games anymore, and truth be told, I kinda like the media-hub idea they’re pushing for this new system. It’s a smart move. As many writers have pointed out, the gaming console as we know it is dead, so companies need to widen their net if they want to survive. If we still want the living-room experience, Xbox One and PS4 are really our only bets. Oh well — there’s always PC gaming! Next E3 2013 — I’m back in on videogames, guys.